An extended-period SDARC-Members-only Award Scheme to encourage on-air operating, to have some competitive fun playing radio, to raise the profile of SDARC on the air and to reward members making consistent use of their radio gear. Go on…. THIS year, have a go !! Open to current licensed members of SDARC, using your own Call Sign (SCCs are acceptable). 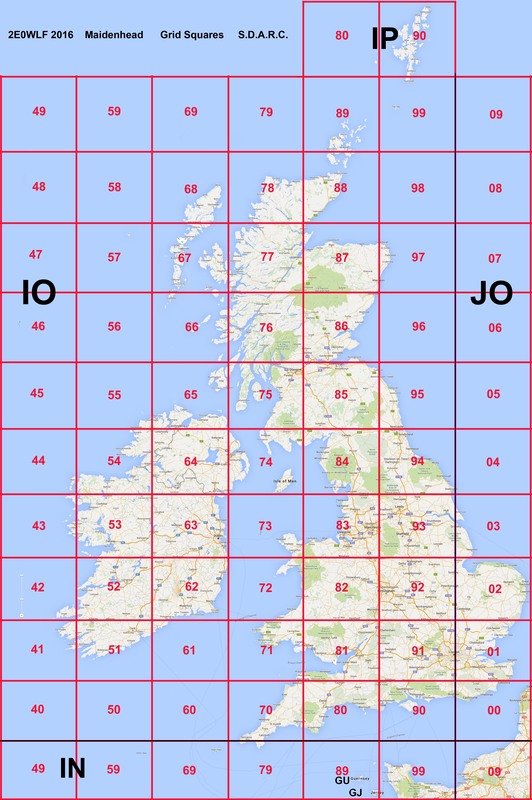 Your Aim is to work as many UK/EI QRA Squares as you can during the Award period. 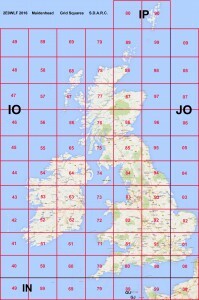 ALL Squares shown in the Progress Table available on the Club website are valid. Work stations normally, aiming to discover their QRA (eg IO91) -There are ~53 of them! Explain to stations worked about the SDARC Club Members’ Award. You can use ANY Mode… Phone, CW or Data. QSOs may be made from 1 Feb to 30 Nov 2018. You can enter all or any combination of the 3 periods. Enter all new Squares using the online form at SDARC.net Just copy details from your shack log. The on-line table at SDARC.net will show progress during each period. Awards will be presented at the Club Christmas Dinner. By entering, you agree that Results may be sent to Radcom & the SDARC website. Remember to tell stations you contact about the SDARC UK Postcodes Award. …It raises the profile of SDARC on the air! Happy Hunting! Good Luck!